Alistair MacLean is currently Regional General Manager with Chelsea Hotels which includes him overseeing the McCarren Hotel & Pool as well as Ruschmeyer’s in Montauk. Prior to joining Chelsea Hotels, MacLean was previously overseeing the Smyth in TriBeCa with Thompson Hotels and preceding that MacLean was with Andre Balazs Properties as Director of Operations, which included roles as General Manager /Partner at Sunset Beach Hotel & Restaurant on Shelter Island. 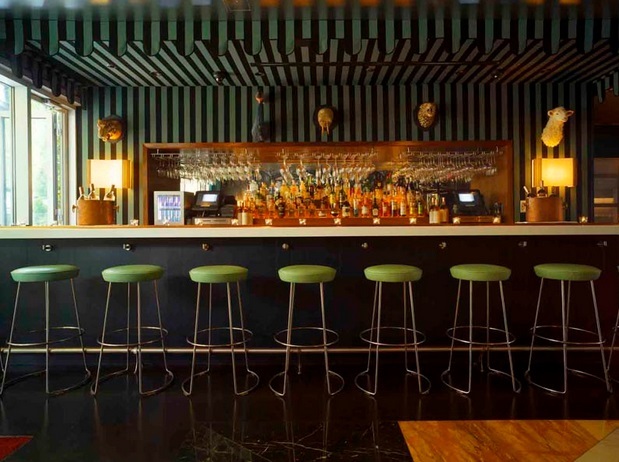 MacLean also had roles overseeing other boutique properties in the company which included The Raleigh Hotel in Miami, The Standard Hotel in Downtown LA, The Sereno Beach Hotel in St Barths and also the opening of New York City’s Hotel QT. MacLean has more than 25 years in the hospitality industry. I have been working in hotels and restaurants since the age of 13 and was lucky to go to hotel school at the age of 15 and then I became a Savoy Management Trainee at the age of 18. So it really is in my blood. I do not see it as a job but more as a passion and due to the nature of the business every day is different as there are always different challenges that pop up at different times. 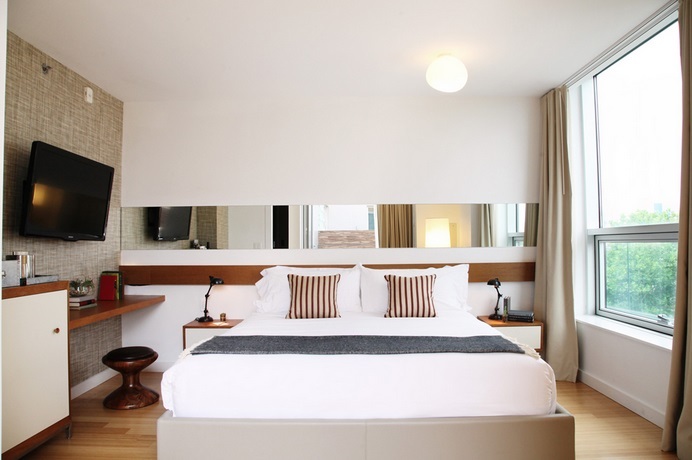 What strategic partnerships/marketing strategies have you implemented that have attributed to McCarren Hotel's success? Our marketing plan and strategic partnerships are constantly evolving as the company grows and as the neighborhood grows. Our success on all fronts is having to keep or finger on the pulse for new companies moving into the area to have them as corporate accounts and also to follow new demand (hotels) coming online in the neighborhood to ensure you are not losing your market share with new competition. We always try to stay ahead of the curve. "Learn from your mistakes and never have regrets"
Your greatest success as Proprietor of McCarren Hotel? Most difficult moment-how did you overcome and what did you learn? Never wait for things to happen - make things happen yourself! 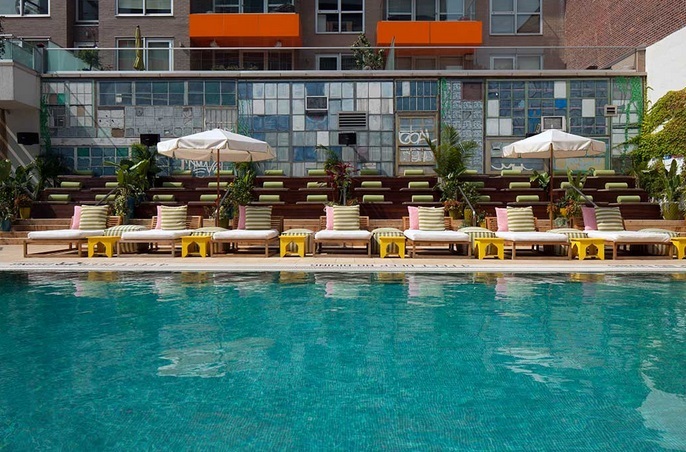 Describe the ideal experience at McCarren Hotel & Pool. The ideal experience at the McCarren Hotel & Pool would be an early check in on a sunny day to one of our suites overlooking McCarren Park. And then retreat to a day of lounging by our saltwater pool followed by a light lunch with a glass of Chelsea Hotels Rose. After a day of lounging by the pool and after freshening up for dinner an aperitif on our roof top with fantastic views of Manhattan as the sun sets. To finish off the day an evening of alfresco dining at our new restaurant Oleanders by the pool to round off the perfect day. Never ask an employee to do something that you wouldn't or couldn't do yourself. Steak Frites au Poivre with a full bodied glass of Bordeaux. Sir Richard Branson and my brother Neil MacLean. Both very driven people with similar entrepreneurial qualities that separate them from a crowd! My wife and 3 beautiful kids. What's next for McCarren Hotel? To continue to evolve and drive the rate as well as continuing to bring the service up to another level. With the addition of our new restaurant Oleanders it is going to bring a different dynamic to the hotel and really involve the neighborhood which is a win win for the McCarren. Also more collaborations with local artists, etc.